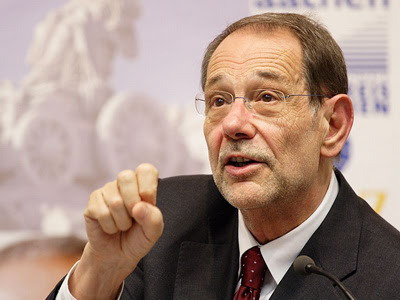 KIEV, Ukraine -- Former European Union High Representative for Common Foreign and Security Policy Javier Solana has said he is optimistic about Ukraine's prospects for development and reform. He expressed his opinion during a public discussion organized by the Yalta European Strategy and the Victor Pinchuk Foundation in Kiev on Wednesday. Solana said that Ukraine received a new opportunity to continue its reforms and he expressed hope that the authorities would grab this opportunity. Last year was difficult for Ukraine both politically and economically, he said. However, after the visit of President Viktor Yanukovych to Brussels the EU has clearly indicated that it will continue to support reforms in Ukraine, he added. According to Solana, the EU will also support Ukraine at the political level, in particular through relaxing visa requirements to Ukrainians and the talks on signing an Association Agreement and the establishment of a free trade zone. Ukraine for its part needs to conduct a constitutional reform in order to do the political groundwork for further progress.